That's it for today, Anthony Taylor has blown his whistle and the game is over. The attendance for today's match is 30608. Florin Andone (Brighton) releases a low pass from just outside the box in an attempt to find his teammate, but one of the defenders calmly averts the threat. Stephan Lichtsteiner (Arsenal) tries to send the ball in front of the goal, but the opposition's defence averts the threat. The corner from Granit Xhaka (Arsenal) is cleared away by the defence. Lucas Torreira (Arsenal) fails to send a pass into the box as his effort is cut out. Arsenal will take a corner kick. Ainsley Maitland-Niles (Arsenal) once again attempts to send a defence-splitting pass, but the opposition's defence is alert and intercepts the ball. A cross is whipped into the box by Bernardo (Brighton) and Solomon March controls it well. He lines up the ball, but one of the defenders produces a timely intervention. Davy Propper (Brighton) slaloms his way past challenges, but an opposing player does well to get the ball away. Stephan Lichtsteiner (Arsenal) whips a promising cross into the box, but the opposition's defence intercepts the ball. 11:7 – the total goal attempt statistics. The game has come to an end for Jurgen Locadia. He has contributed as much as he could today. He will be replaced by the fresh legs of Anthony Knockaert (Brighton). A terrific attempt by Alex Iwobi (Arsenal) from the edge of the box slides just narrowly past the right post. Lucas Torreira (Arsenal) receives a yellow card for talking out of turn to the referee. Good chance! Jurgen Locadia (Brighton) nicely turned his man inside the box but placed his effort just wide of the right post. He should have scored! Substitution. Florin Andone (Brighton) replaces Glenn Murray. Solomon March (Brighton) controls a cross from Jurgen Locadia inside the box, but sidefoots the ball just over the bar. The ball is whipped in from the corner by Granit Xhaka (Arsenal), but one of the defenders gets it clear. Pierre-Emerick Aubameyang (Arsenal) goes on a solo run, but he fails to create a chance as an opposition player blocks him. Arsenal have been awarded a corner kick. Ainsley Maitland-Niles (Arsenal) sees an unmarked teammate and attempts to send him a low pass. However, one of the defenders reads the game perfectly and averts the danger. Jurgen Locadia (Brighton) slides a pass forward, but one of the defenders cuts it out. Sead Kolasinac (Arsenal) sends over a cross, but he can't find any teammate inside the box. Poor delivery. Ainsley Maitland-Niles (Arsenal) looks to break free, but an opposing player clears the ball away. That will be all from Laurent Koscielny who is being replaced by the fresh legs of Ainsley Maitland-Niles (Arsenal). Alex Iwobi almost gets into in a promising position, but the through ball by Stephan Lichtsteiner (Arsenal) from just inside the box is intercepted by one of the defending players. Sead Kolasinac (Arsenal) attempts to find Stephan Lichtsteiner, but puts far too much on the pass and the chance is gone. Pierre-Emerick Aubameyang (Arsenal) does his best to latch onto a cross into the box, but he can't get to the ball. Granit Xhaka (Arsenal) fails to find any of his teammates inside the box as his pass is blocked. Granit Xhaka (Arsenal) will take a corner kick. Substitution. Alexandre Lacazette makes his way off the pitch and Aaron Ramsey (Arsenal) comes on as his replacement. The ball rebounds off the defender into the path of Davy Propper (Brighton), who immediately strikes for goal from inside the box but sends it a whisker wide of the left post. Glenn Murray (Brighton) commits a nasty foul by bringing down his opponent. Arsenal take the corner, but their hopes of scoring a goal end with nice clearance by the defence. Granit Xhaka (Arsenal) whips in a cross from the corner, but Mathew Ryan is well positioned and punches the ball away. Arsenal have been awarded a corner kick. The referee and one of his assistants both point at the corner flag. The ball is cleared after Pierre-Emerick Aubameyang (Arsenal) attempted to dribble past an opposing player. The ball goes out for a corner. Arsenal can continue in their attacking effort. Great ball in from Solomon March. Davy Propper (Brighton) should really have done better with a close-range header, but he heads it a whisker wide of the left post. Solomon March (Brighton) prepares to take a corner kick. Bernd Leno makes a brilliant save! Solomon March (Brighton) easily weaves through the defence and fires the ball from mid-range. His effort goes towards the bottom right corner but is saved by the keeper! The ball is out of play. Brighton win a corner kick. Granit Xhaka (Arsenal) launches the ball from the resulting corner, but one of the defenders is first to the ball and deals with the threat. Alexandre Lacazette (Arsenal) fires a shot at goal from a very promising position outside the penalty area, but it is blocked by a self-sacrificing defender. Good work from Arsenal as they win a corner. Unai Emery makes a switch. Alex Iwobi (Arsenal) is coming on in place of Mesut Ozil at the start of the second period. Referee Anthony Taylor blows his whistle to start the second half. Martin Montoya (Brighton) has tested the patience of referee Anthony Taylor and goes into the book for a previous late challenge. Stephan Lichtsteiner (Arsenal) attempts to find his teammate with a pass from outside the box, but the opposition's defence is quick to react and thwarts the attack. Granit Xhaka (Arsenal) swings in the corner kick, but one of the defenders leaps highest to head the ball away. Lucas Torreira (Arsenal) takes the free kick but it is cleared by the first defender. The referee blows his whistle, Arsenal are awarded a corner kick. A clumsy foul by Bernardo (Brighton) and Anthony Taylor blows his whistle. A free kick to Arsenal. Bernd Leno doesn't have to worry about that one. Martin Montoya puts a cross in towards Glenn Murray (Brighton), who is unable to keep his header on target from the centre of the box. He sends the ball high over the crossbar. Solomon March (Brighton) sends a pass into the box, but his attempt is thwarted and cleared. Goal! Davy Propper slips in Jurgen Locadia (Brighton) for a one-on-one with the keeper, and he simply dinks the ball over him into the net. The corner kick from Granit Xhaka (Arsenal) is headed out of the penalty area by one of the defenders. Another attempt to send the ball beyond the defence by Laurent Koscielny (Arsenal) is thwarted and cleared to safety. Corner kick. Arsenal will have an opportunity. The ball possession at the moment is 29:71. Pierre-Emerick Aubameyang (Arsenal) wastes a huge opportunity! He receives a precise cross inside the penalty area and releases a quick shot that sails towards the bottom left corner. His effort, however, lacks power and the goalkeeper dives to make a stunning save. Glenn Murray (Brighton) darts into the penalty area to latch on to a pass, and he unleashes a low shot in the direction of the right post. Bernd Leno is alert and denies him with a nice save. Stephan Lichtsteiner (Arsenal) delivers a long ball, but it lacks enough power to reach his teammates and is intercepted by one of the defenders. Wasted effort! Martin Montoya (Brighton) finds himself some space, looks up but sends a dreadful shot high over the bar from long range. Solomon March (Brighton) takes the corner but only sends it into a huddle of the defenders and one of them makes a good clearance. Solomon March (Brighton) sends a cross into the box. However, the opponent's defence eliminates the danger by clearing the ball out. 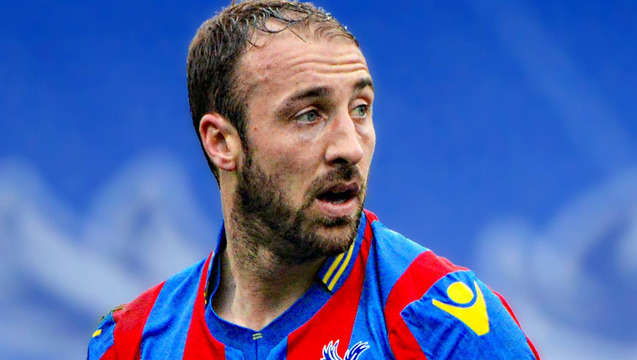 Glenn Murray (Brighton) is penalised for a foul. Anthony Taylor had a clear view and blows his whistle. Pierre-Emerick Aubameyang (Arsenal) weaves his way through opponents and strikes the ball from the edge of the area, but it's blocked by a defender. The corner from Pascal Gross (Brighton) is intercepted by Bernd Leno. Pascal Gross (Brighton) creates himself some space on the edge of the box and unleashes a strong shot which is blocked by a defender. The referee signals a corner kick to Brighton. Sokratis (Arsenal) sends a long ball across the pitch, but it misses its target. Arsenal are playing possession football and controlling the game at present. They are exchanging inch-perfect passes from player to player, making it difficult for the opposition to win the ball. Half-chance! Stephan Lichtsteiner (Arsenal) plays a pass into the box, but Mathew Ryan reacts well to snuff out the attack. Davy Propper (Brighton) drills a powerful shot from long range towards the middle of the goal, but Bernd Leno makes a comfortable save. Nothing comes of the resulting corner from Solomon March (Brighton). The defence is alert and manages to cut it out. A promising cross into the box is nearly received by the lurking Solomon March (Brighton), but one of the defending players cuts it out to avert the threat. Now Brighton have a corner. Alexandre Lacazette (Arsenal) attempts to find Mesut Ozil with a delicate little through ball from inside the box, but one of the defending players makes a timely intervention. Alexandre Lacazette feeds the ball through to Pierre-Emerick Aubameyang (Arsenal), who picks up the pass inside the box and quickly sends it into the top right corner! The goalkeeper was helpless. 0:1! Granit Xhaka (Arsenal) takes the corner, but it's intercepted by the defender. Pierre-Emerick Aubameyang (Arsenal) picks up a precise pass deep inside the box, but his strike is saved by the keeper. The ball is out of play and the linesman points at the corner flag. Corner to Arsenal. Bernardo (Brighton) fails to pick a body out in the box with an over-hit cross to the back post. Alexandre Lacazette (Arsenal) shoots from the edge of the penalty area. The ball travels towards the target, but Mathew Ryan easily deals with the threat.